Does Taking Honey Cure Coughing? No spoonful of sugar needed to help this medicine go down. Honey has been around for centuries as a food and a medicine. It has antimicrobial properties, so it's really the first antibiotic ointment. It's good in coffee. It comes in those cute little bear jars. I don't really have anything bad to say about honey. But, does it cure coughing? Not a cure, but there is evidence that honey suppresses coughing better than over the counter cough suppressants. Honey was tested against dextromethorphan, a common cough suppressant, to determine which was better at calming coughs in kids. Researchers compared honey, dextromethorphan and nothing at all. None of them cured cough altogether. Coughing is complicated. There are a lot of things going on in the brain, the throat, the windpipe and the lungs that combine to trigger coughing. Curing a cough is about fixing the underlying problem. Honey doesn't cure anything related to coughing, but it looks like it is the best bet for getting a little relief at night without a prescription. In the study, dextromethorphan didn't do any better than nothing at all. Honey did, but the difference wasn't amazing. So, basically, honey is better than nothing at all. 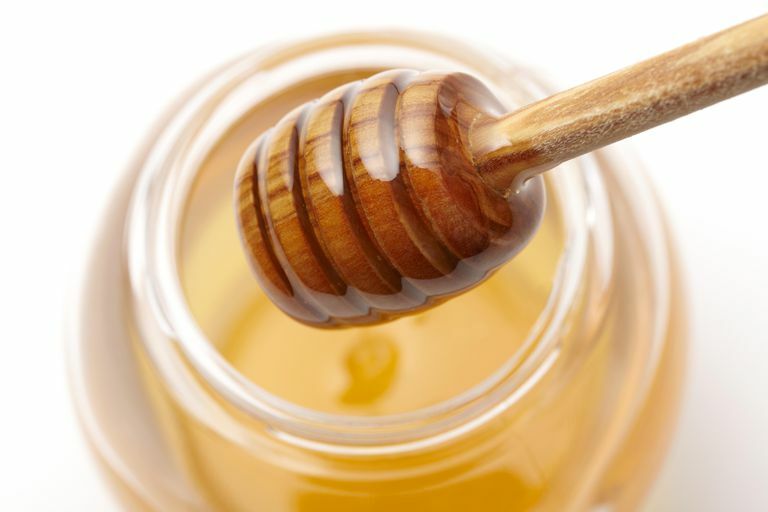 In this study, the kids took the honey straight by the spoonful and they took buckwheat honey, a darker variety with more antioxidant properties than lighter honey. The kids were also supposed to drink a hot beverage after the honey dose. I've seen lots of recipes for honey cures. Sometimes it's mixed with lemon juice, which sounds good but wasn't tested here. Currently, there is no cure for coughing. Since kids shouldn't take cough medicine, there aren't a lot of options to get relief. Honey might be right for your child. Remember that honey should never be given to infants; they could get a botulism infection from it. Only give it to kids older than a year and don't expect miracles. Try These Food Substitutes for the Six Food Elimination Diet!